Loeys-Dietz Syndrome Foundation Canada has established a strategic plan to fund 20 young investigators over the next five years. Check back often and subscribe to our newsletter above to keep informed of new opportunities. Click below to download the program model in PDF format. 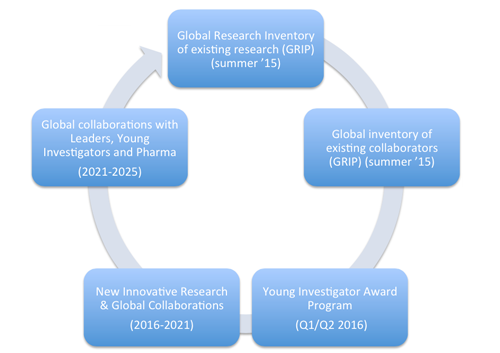 The Global Research Inventory Program (GRIP) is a global inventory of all research published on Loeys-Dietz syndrome. We have 2 volunteers working full time for a 6 week period to compile this data and then create a mapping of the research by body system. We anticipate results by the summer of 2015. An exciting feature of the GRIP project is the database of all of the medical professionals that have collaborated on the published research. 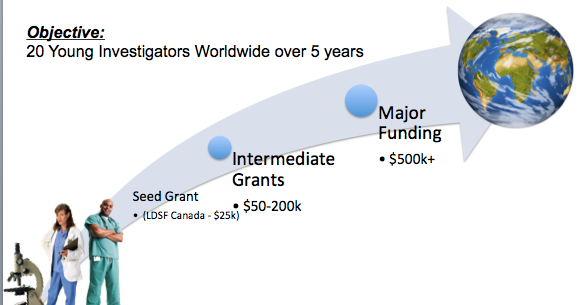 This database will be instrumental in ensuring that LDSF Canada will have a comprehensive and global reach when it announces the Young Investigators Awards Program in late 2015 – thus ensuring we reach the brightest young minds around the world.